Xenarc Technologies Corp. is one of the first LCD manufacturers to introduce a 7" LCD screen with DVI input and Touchscreen. This monitor utilizes a separate input box which allows a very clean installation. There is only one cable that needs to be connected to the monitor. 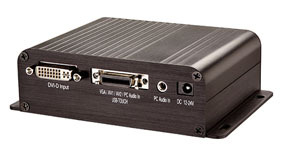 The external input box takes care of power, a DVI input, a VGA input, 2 Composite video inputs, and 3 audio inputs. And with the optional longer cables, the monitor can sit up to 10 Meters away from the input sources. 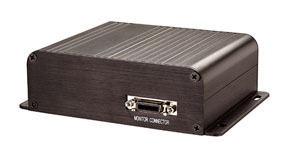 LVDS signaling is utilized between the monitor and the input box to minimize signal degradation. Utilizing the newest Pixelworks advanced high performance video processor, the 706TSA provides outstanding signal processing, de-interlacing, and scaling. This is the same chip that is used in high-end TVs and projectors. Solid Capacitors are used in place of Electrolytic Capacitors though out the unit to further improve the stability and durability especially in extreme temperature conditions. Use the convenient touch-screen as your input device, control your mouse cursor or the mini on screen keyboard that comes with your operating system. The touch screen utilizes the USB port as the interface. You can connect several 706TSA monitors to your computer and the touchscreens would work simultaneously through the multi-monitor support. 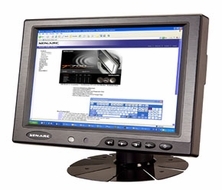 These monitors come included with an input processing box, instruction manual, a copper monitor stand, a stylus, an AC adaptor, a connection cable, cigarette lighter car adaptor, and touchscreen drivers for DOS, Windows, Windows Vista, Linux, and Mac OS. 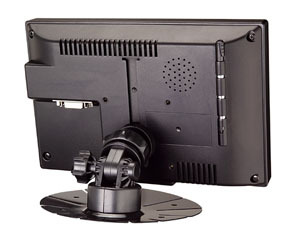 To install this monitor in a vehicle, check out our Windshield Mount, Model # WSM-1.